The executive director of the state's data and information technology agency stepped down last month. Brian Rawson, who spent the last three years overseeing the state's data consolidation and telecommunications efforts for the Department of Information Resources, will run "statewide data initiatives" for the Texas Education Agency. Gov. 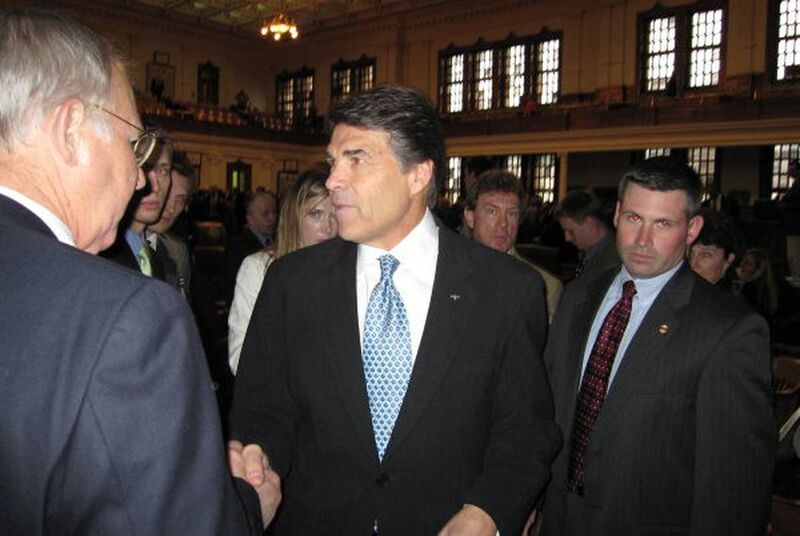 Rick Perry's technology adviser, Karen Robinson, will serve as interim director until a replacement is named. Rawson and officials with the agency could not be reached for comment. But DIR insiders said privately that his departure did not come as a surprise. Rawson's tenure at the agency has been difficult — largely because of problems implementing the state's $863 million data center consolidation project. Server crashes have threatened major Medicaid fraud cases kept on file in the Texas Attorney General's Office and angered the governor's office. Earlier this month, auditors held the agency responsible for many of the delays and hitches with the seven-year data consolidation contract with IBM. Charles Bacarisse, Perry's appointee to chair the DIR board, said in a statement that Rawson has "diligently worked to manage the many services the agency provides, including TexasOnline." "While the data consolidation is a long way from completion, on behalf of the board I thank him for his efforts," Bacarisse said.